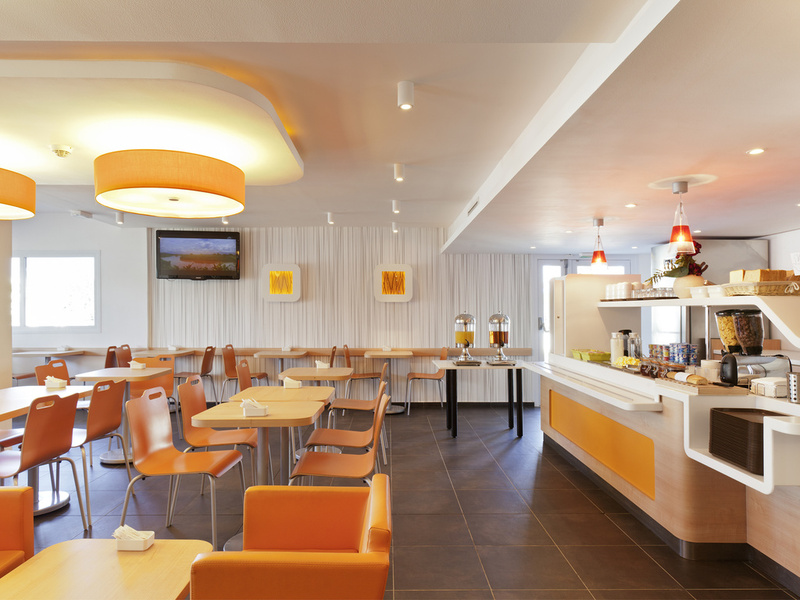 Ibis Budget Saint-Maximin-la-Sainte-Baume hotel. Less than 800m from the city center and St. Mary Magdalene's basilica. Come and enjoy a warm welcome, restful sleep and free breakfast in green Provence. Located 10 minutes' walk from the center of Saint Maximin and the Basilica of Sainte-Marie-Madeleine, which is the largest Gothic building in southeast France and is listed as the third most important tomb in Christianity. You will be 20 minutes from the Plan d'Aups plateau that will take you to the Sainte Baume cave, home of Mary Magdalene. In the heart of the Provence Verte and lush nature, enjoy the cultural and traditional riches between the Sainte Baume and Sainte Victoire mountains. A must in green Provence, St Maximin stands at the foot of massive St Baume and St Victoire. A vibrant city with Provençal traditions keeping its cultural and agricultural heritage; over 500ha of vines. Spacious Cocoon & Design room with open bathroom for enhanced luminosity and private toilet. Enjoy a modern, air-conditioned, soundproofed room for up to four people, either as a family or with a group of friends, in the Provence Verte.